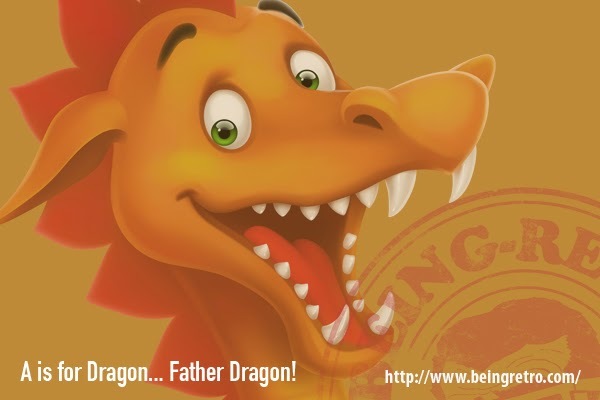 Father Dragon, also known as Al Diaz, is a fire dragon who is an English-Spanish translator, an artist and a philosopher. His mother language is Spanish. He studies humans and their nature in order to write stories about them. He has one hundred and fifty dwarves as his loyal but not always efficient minions. They guard his treasure and his cave in Mexico City. He can shift into human when the occasion calls for it - although usually occasion gets the wrong number. He is the owner of the official Dwarf Cheering Squad formed by: Sessin, son of Tassin; Tassin, father of Sessin; Pancholin, grandson of Manolin and Milin, son of Carmelita. So what are you doing here? Are some of you real people? Do some of you want to fly, travel in a time machine or travel in a spaceship? Okay let me explain, this is inspired by a post made by Al of Father Dragon Writes... on his Facebook page of people thinking that he actually might think he is a dragon for real, well that is what I took away from it. I think in this place we call home, we can be anything... everyone or like Al... the thoughts of being strong like a dragon. You be... what you want to be... What do you want to be? Nice feature for Al, Jeremy! He's one of my best buddies and a true friend. An amazing tribute to a fine dragon. we love dragons and hate dragon hunters! Jeremy I want you to know you've just worked as messenger for the Higher Powers. You've brighten up my day and renewed my strength in a day that had started rather gloomy. Thank you very much for this and for the wonderful badge that returned the smile to my face. May your days be blessed, my friend. Al is a true dragon in spirit. LOL Great job Jeremy. Awesome post, got to love the Father dragon. Besides if we can't be what we want here then where can we? Indeed, I know that Al Diaz is really a dragon. The 150 dwarves are all parts of the dragon's persona. The flames of hope emit from your kindness, Jeremy. And the flames of hope shall make Al's gloomy times be part a passing phase.